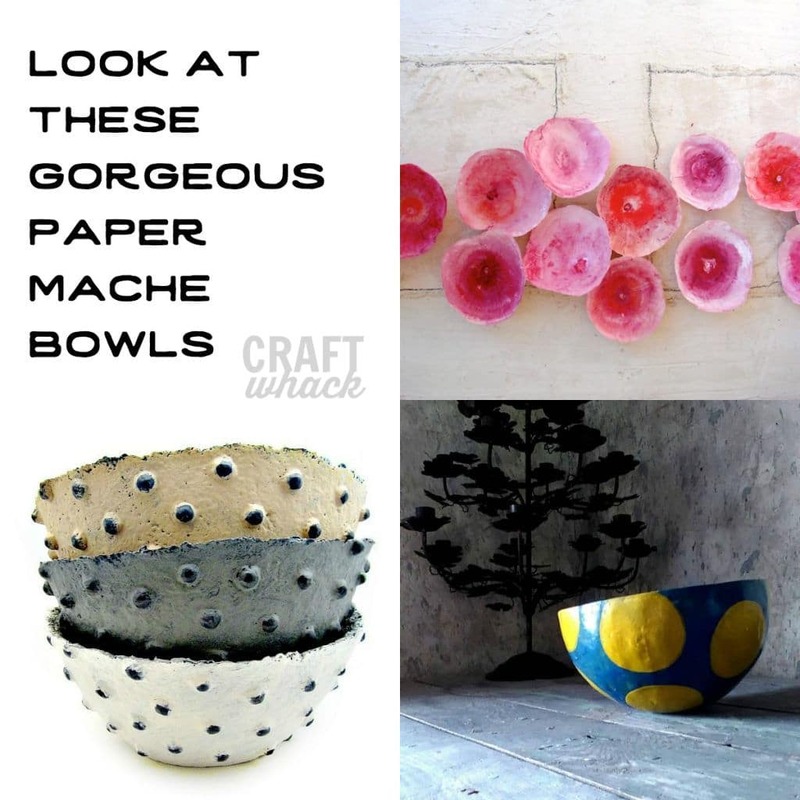 We’re going to start off this post with paper mache recipes, and ease into a whole bunch of gorgeous paper mache bowl ideas to get you jumping up and down in excitement about making them. 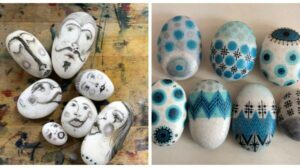 Hint: I’m not sure if there really is a best paper mache recipe– I’ve had good luck with all of these. The thing about paper mache is that it’s been around forever, and I remember as a kid we would simply mix up flour and water (with a little salt to prevent mold), slather newspaper strips in it, and wrap it around toilet paper rolls and balloons to make all sorts of things. Here are a few paper mache recipes, so you can choose according to what you have on hand, or however you want to choose. Try them all if you like! This is a nice, simple recipe using ingredients you most likely have on hand. Take white flour, 1/2 cup or so, and slowly add water from your tap (start with 1/2 cup), until it is the consistency of glue. Add a tablespoon of salt. Whisk it or smash to flour lumps with a fork to make it nice and smooth. 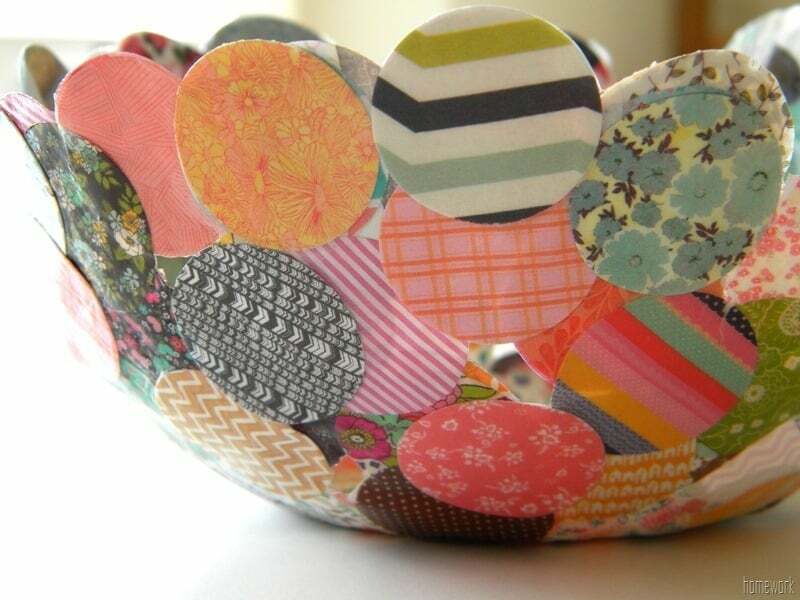 Pour a bottle of Elmer’s glue into a bowl, and add tiny amounts of water to just thin it down a little. Don’t add too much water or it won’t be sticky enough! This is a little more slippery when using than the flour recipe. Use liquid starch. Boom. Here it is, because it’s nearly impossible to find at stores except in nasty spray cans. For each recipe, here are the directions for use: Drag your pieces of ripped up newspaper, newsprint, or paper towel through it, leaving the extra slop in your bowl, and press your pieces around your mold or substrate. 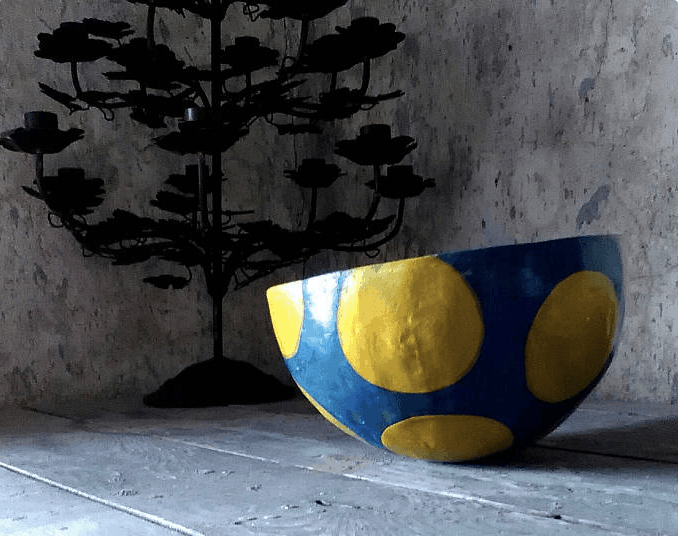 What is The Definition of Paper Mache? Paper mache translates to ‘chewed paper’, so I’m encouraging you all to chew up a bunch of paper and use it. 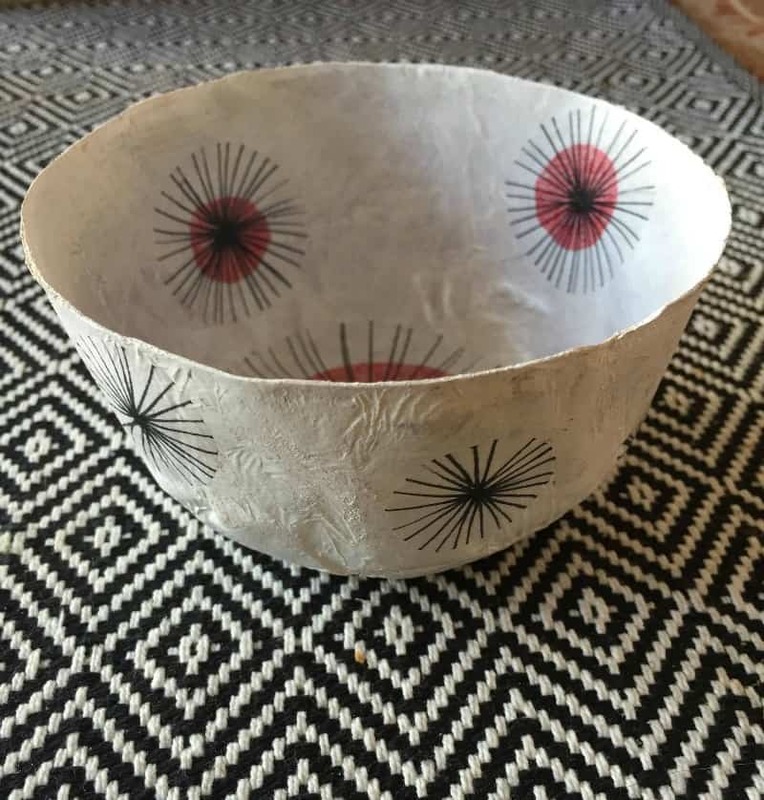 🙂 Essentially, paper mache is any torn up or pulped paper, mixed with a glue, molded, and left to dry until hard. Even though the words are French, paper mache was invented in China in the Han Dynasty (BC 202 – AD 220), and was used to make helmets! Read more about paper mache here. 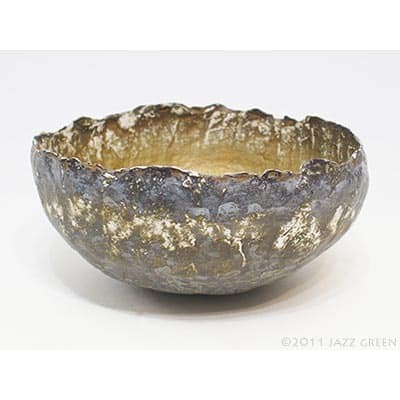 Can You Buy Premade Paper Mache? I’ve used this stuff, and had great success with it. It’s a sort of light, coarse powder, so there aren’t any paper strips to use. It’s different than making your own paper mache, but the end result is similar. 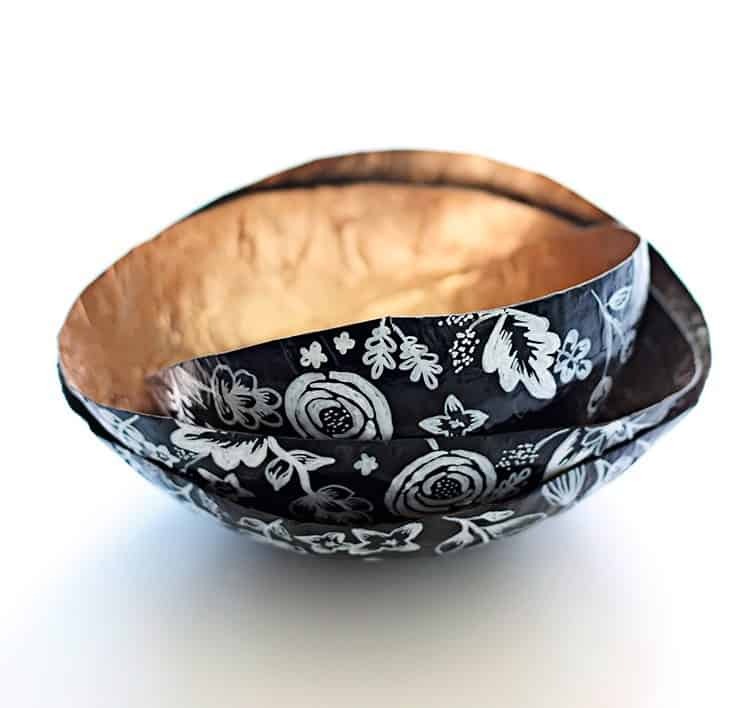 Now it’s time to get all inspired with what you can do with your paper mache! 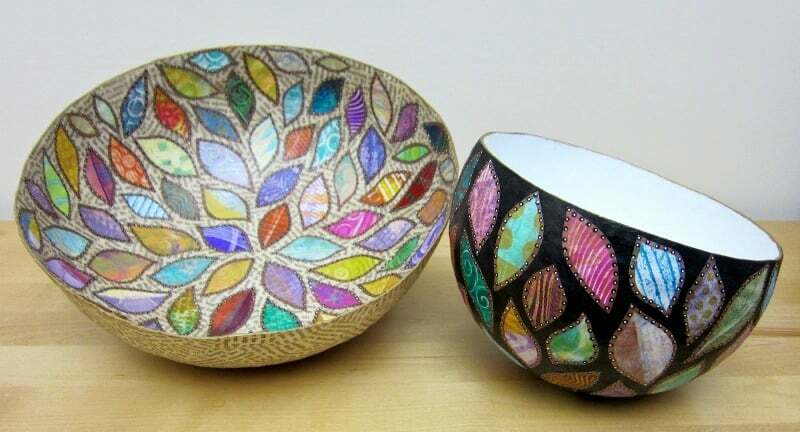 Here are some gorgeous paper mache bowls that I found while browsing around the old internet. 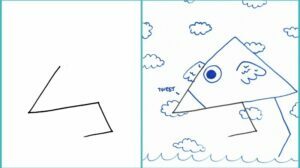 Thank you, internet. 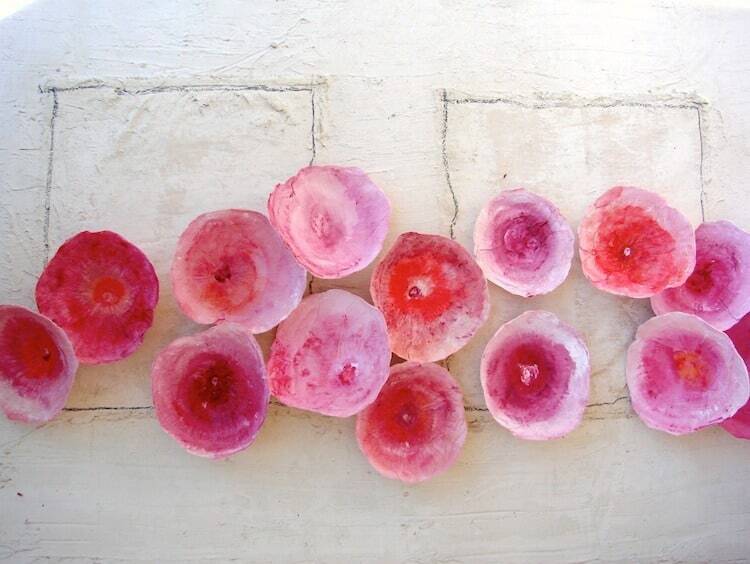 How freaking amazingly gorgeous are these? From Well Nesting. 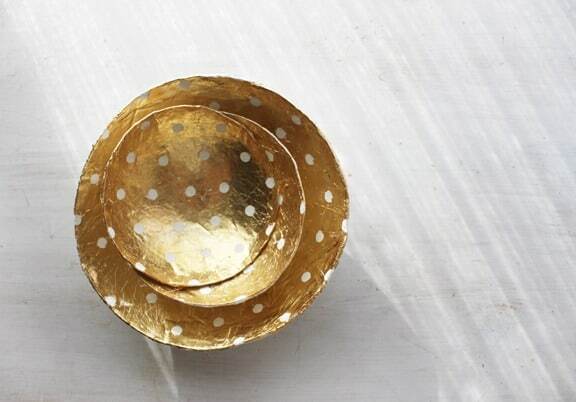 I love most things with dots, and these are no exception. 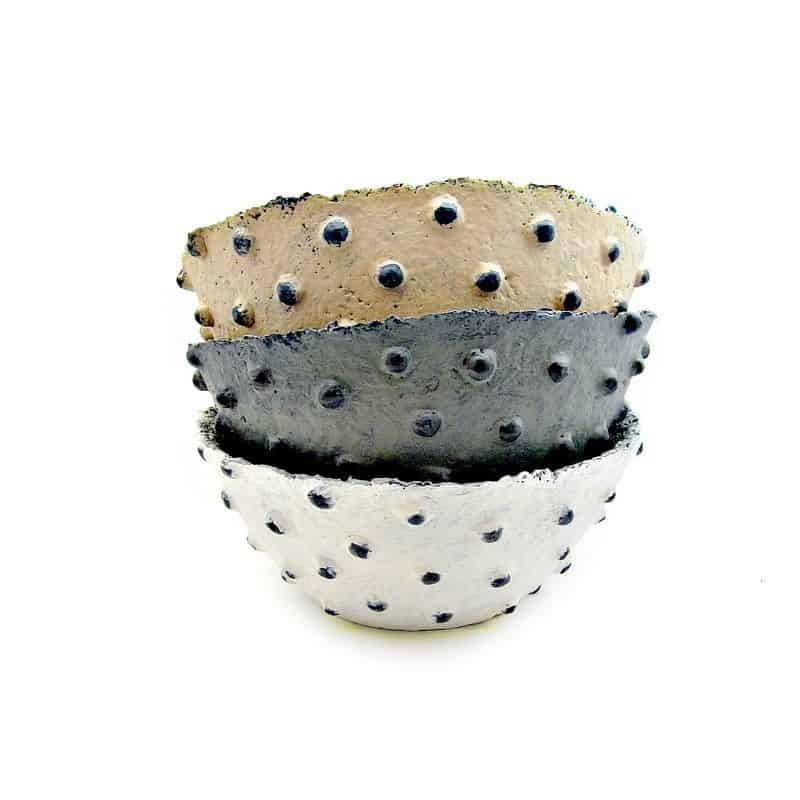 Paper mache dotty bowls. 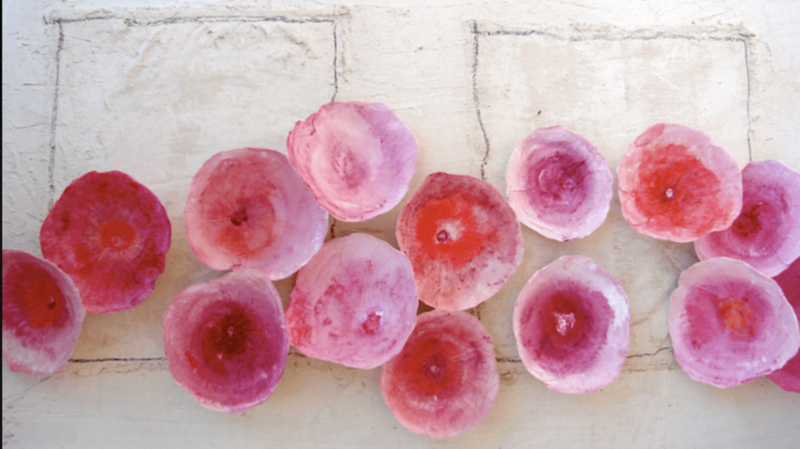 I hope you’re sufficiently inspired to get your hand mucky with paper mache. Come back and show me what you make! I hope you do! It’s cool to see that paper mache can actually look beautiful instead of the lumpy mess I usually end up with.